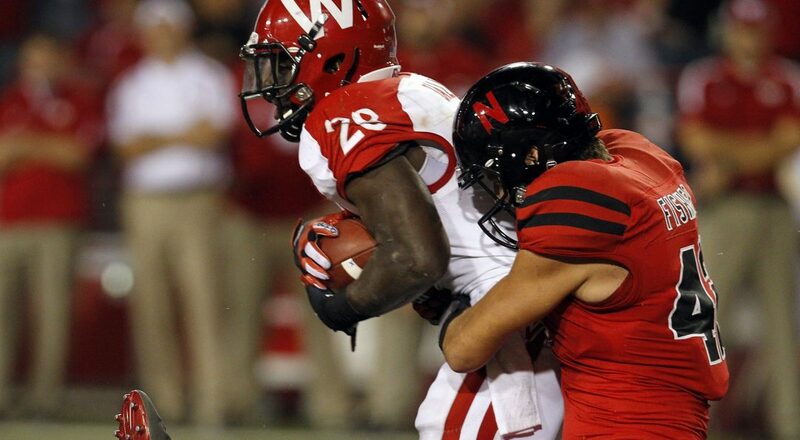 Sean Fisher tackles Montee Ball in the second half. WIS: M.Ball 32-90; M.Gordon 2-5; J.Abbrederis 1-4; TEAM 1-minus 5; J.White 1-minus 5; J.Stave 4-minus 33. NEB: T.Martinez 13-107; R.Burkhead 18-86; A.Abdullah 10-70; B.Heard 2-1; TEAM 3-minus 5. WIS: J.Abbrederis; J.Fredrick 3-27; K.Doe 2-25; C.Hammond 1-30; M.Gordon 1-8; D.Watt 1-7. NEB: K.Bell 4-57; A.Abdullah 3-22; B.Cotton 2-36; K.Reed 2-21; Q.Enunwa 2-12; R.Burkhead 2-2; J.Turner 1-27; S.Osborne 1-4. 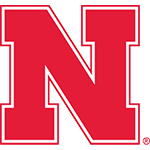 Huskers Rally from 17 Down to Beat Badgers: Nebraska made amends for a series of first-half miscues to match the second-biggest comeback in school history by rallying from a 17-point third-quarter deficit to notch a 30-27 victory over Wisconsin. Brett Maher produced the winning margin with a 41-yard field goal field goal with 9:41 left. 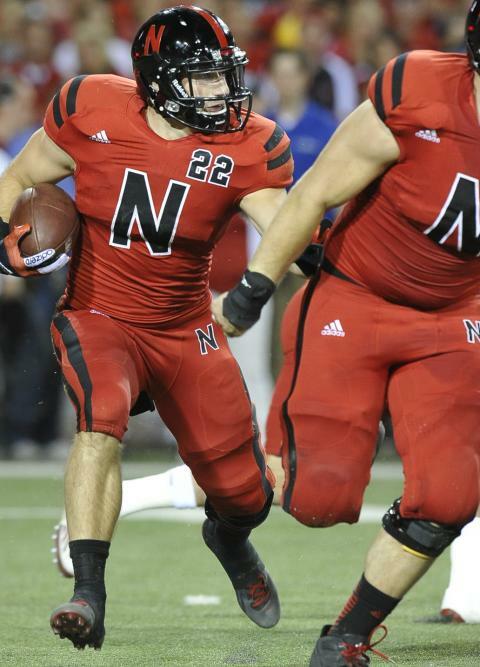 It capped a stretch of 20 unanswered NU points in a span of 14:37. It was a Bo moment. Let him have the moment. He earned it. Nebraska prevailed ... in a game that was about guts and poise and timely play-calling and play-making. 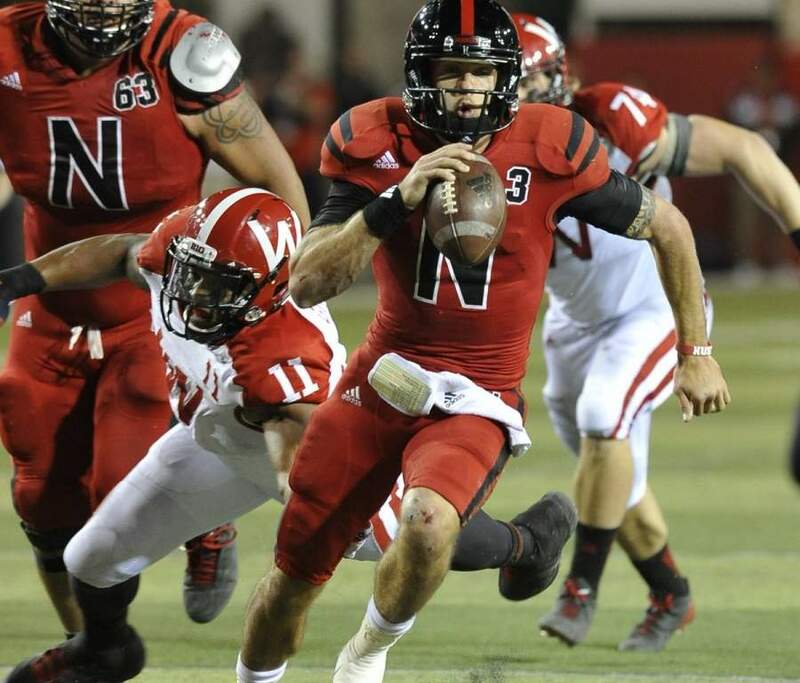 Beating Wisconsin does not change Nebraska’s deficiencies. ... But this rock is still skipping. The whole team overcame adversity, but none more dramatically than Martinez. The true nature of the teams was exposed in the second half. It was beautiful yet troubling at the same time. More of that maddening inconsistency. Smart move by Terry Joseph to stick junior cornerback Ciante Evans on Wisconsin wide receiver Jared Abbrederis in the second half. Once Nebraska’s offense stopped giving the Badgers short fields to score touch­downs on, Wisconsin couldn’t move the ball. Six fumbles – most unforced – by the Huskers made this game much closer than it should have been. Then something strange happened. Nebraska stopped beating itself and started beating Wisconsin. Nebraska showed an amazing resiliency in getting off the mat when a knockout was close at hand.